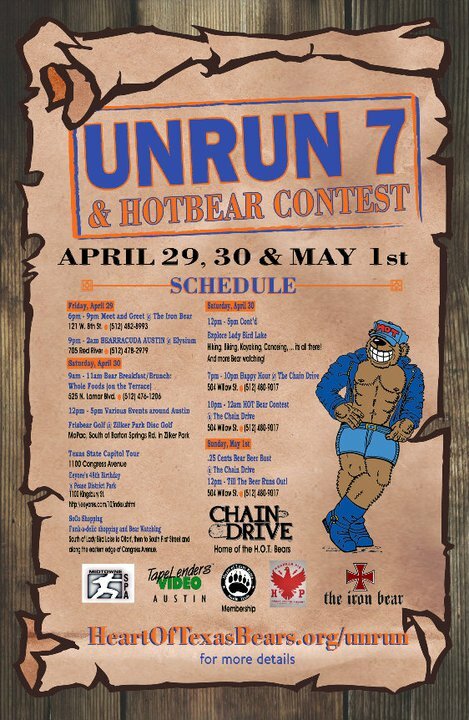 UNRUN 7 – You’re Invited!!!! If you are interested in competing in the Mr. HOTB contest, we are looking for about 10-12 contestants. 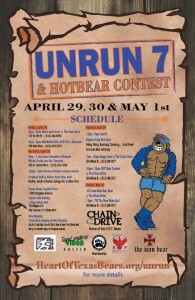 Its a fun, lighthearted contest, and helps raise money for our designated charities…..OUT Youth and the People’s Clinic. If you need more information, please contact…. officers@heartoftexasbears.org. 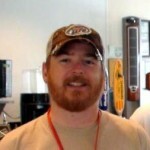 Lonestar 23 – Join us this Memorial Day Weekend! Many of you have enjoyed the annual campout at Texas Conference of Clubs “Back to the Woods.” It’s a great weekend and one that I look forward too every year. There are other events at TCC you may like to consider. One of them takes place over Memorial Day weekend. It is called LoneStar. This year, LoneStar # 23 will be a Carnival Themed 4 day 3 night campout. 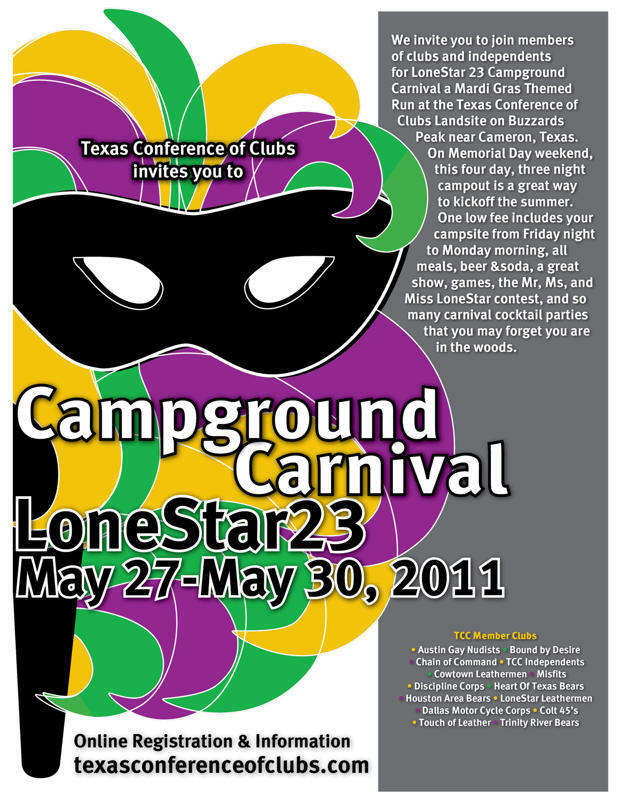 The current fee includes a campsite, food, beer, cocktail parties, games, and all of the camaraderie you can expect from a long weekend run. Of course there are accommodations available in the bunkhouse as well as spaces for trailers. The two shows put on will include a contest for Mr, MS, and Miss LoneStar. The event typically gets 100+ attendees. Open to anyone over 21, LoneStar is put on by all member clubs across Texas including: Austin Gay Nudists, Bound by Desire, Chain of Command, TCC Independents, Cowtown Leathermen, Misfits, Discipline Corps, Heart Of Texas Bears, Houston Area Bears, LoneStar Leathermen, Dallas Motor Cycle Corps, Colt 45’s, Touch of Leather, and Trinity River Bears. Lead my your truly, the HOT Bears have been asked to make the Saturday morning breakfast.